The HSE stipulates that all business and commercial premises are required by law to carry out a fire assessment and provide adequate fire extinguishing apparatus. Informing your staff of proper fire safety procedure and ensuring that they are trained in the knowledge of how to protect themselves and operate fire safety equipment where necessary is also vital. Practical training of your staff to use a fire extinguisher properly is also recommended, and it will give them confidence to fight a fire and potentially save lives. Hands on practice with a fire extinguisher is always desirable if there is a safe area in which to do so, since many people worry that they might panic. Our fire extinguisher trainer can visit and explain all the aspects of fire safety to your staff, and even, if there is a suitable area, be able to demonstrate, using a controlled fire, how to extinguish it with the appropriate method. ETC Fire provide fire extinguisher training Hampshire businesses and commercial premises find very cost effective and our advice will often save you money on maintaining your safety records and provision of adequate fire fighting equipment. We offer bespoke fire extinguisher training courses for your staff which is quick, efficient and aimed directly at their particular needs and situation. If your company works shift systems then we are happy to visit any time that you require, to fit in with your staff work patterns and thus ensure that everyone has the appropriate advice. 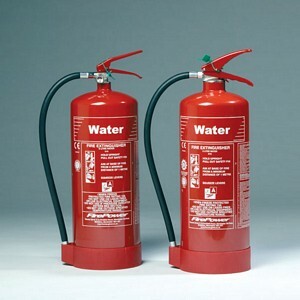 ETC Fire also supply and service fire extinguishers. We offer the same service and advice on fire extinguishers you may have already in situ, or have just bought from any supplier or off the Internet. Call us if you have any queries or would like an independent assessment of your present equipment.